February 2015 - Page 6 of 6 - Tecdr Tech Security Blog. Wikipedia defines Net neutrality (also network neutrality, Internet neutrality or net equality) as the principle that Internet service providers and governments should treat all data on the Internet equally, not discriminating or charging differentially by user, content, site, platform, application, type of attached equipment, or mode of communication. The term Net neutrality was invented by Columbia University media law professor Tim Wu in 2003 as an extension of the longstanding concept of a common carrier. Net Neutrality has come back into the news because Sir Tim Berners-Lee, the inventor of the World Wide Web wrote about it in a blog for the EU Commission. Sir Tim, who is also the Founding Director of the World Wide Web Foundation, says that net neutrality is critical for Europe’s future. 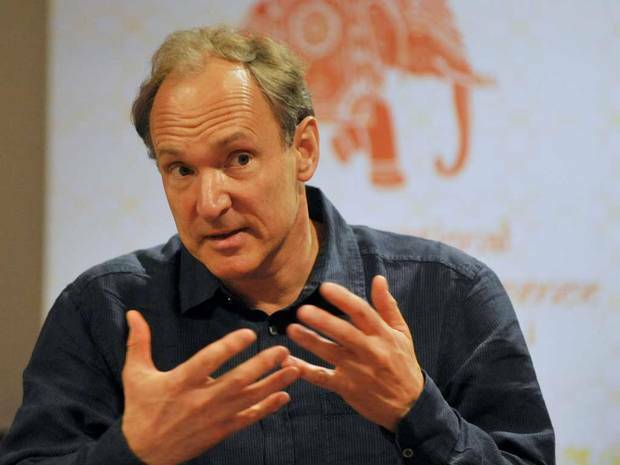 He also states “As inventor of the World Wide Web, people often ask me – “What’s next? What will be the next big thing on the Web”? “The truth is, I cannot tell. Why? When I designed the Web, I deliberately built it as a neutral, creative and collaborative space, building on the openness the Internet offered. My vision was that anyone, anywhere in the world could share knowledge and ideas without needing to buy a license or ask permission from myself or any CEO, government department or committee. This openness unleashed a tidal wave of innovation, and it is still powering new breakthroughs in science, commerce, culture and much more besides”. Sir Tim also argues that net neutrality “a key element of the openness that underpins the Web and the broader Internet is under threat.” Sir Time mentions that ‘net neutrality’ “The principle that each ‘packet’ of data must be treated equally by the network. In practice, this means that there should be no censorship: the state should not restrict legal content from citizens, as guaranteed in Article 11 in the Charter of Fundamental Rights of the EU. It also means that there should be no restrictions based on economic motivations. A packet of data – an email, a webpage or a video call – should be treated the same no matter whether it is sent by a small NGO in Ljubljana or a FTSE 100 company in London”. As more and more people are watching box sets and new TV series via Amazon, Netflix and other such online services their usage can be throttled by their internet providers who don’t like users using what they are paying for or because they prefer if you use a competitor. According to Sir Tim “We must ensure that companies providing access should not be able to block, throttle, or otherwise restrict legal content and services of their users online, be it for commercial or political motivation. Of course, it is not just about blocking and throttling”. Stopping positive discrimination is also mentioned “When one internet operator favours one particular service over another. If we don’t explicitly outlaw this, we hand immense power to telcos and online service operators. In effect, they can become gatekeepers – able to handpick winners and the losers in the market and to favour their own sites, services and platforms over those of others. This would crowd out competition and snuff out innovative new services before they even see the light of day. Imagine if a new start-up or service provider had to ask permission from or pay a fee to a competitor before they could attract customers? This sounds a lot like bribery or market abuse – but it is exactly the type of scenario we would see if we depart from net neutrality”. Sir Tim mentions how critical net neutrality is stating “Maintaining this net neutrality is critical for the future of the Web and the future of human rights, innovation and progress in Europe. Research commissioned by the Dutch government in June 2013 showed that net neutrality stimulates a virtuous circle between more competition, lower prices, higher connectivity and greater innovation, benefiting all citizens, as well as internet companies large and small”. The web was designed to be open source, accessible by anybody and Sir Tim rightly feels that this ethos is being lost. If we have to start paying a fee every time we go online or access an online service we are losing the innovation that the web has brought as well as the entrepreneurs. Imagine having to pay every time we send a tweet or view a tweet and if the web is more tightly controlled everything we deem secure such as our emails and any data we store online is no longer secure. To read Sir Tim’s blog please click here.